At my new job I’ve moved from Subversion to TFS for source control managing. Today I reacted over the fact that the compare algorithm in the built in compare tool is really bad. I had pretty much only removed some unnecessary try/catch blocks and that made the whole block of code look replaced/edited in the TFS compare view. 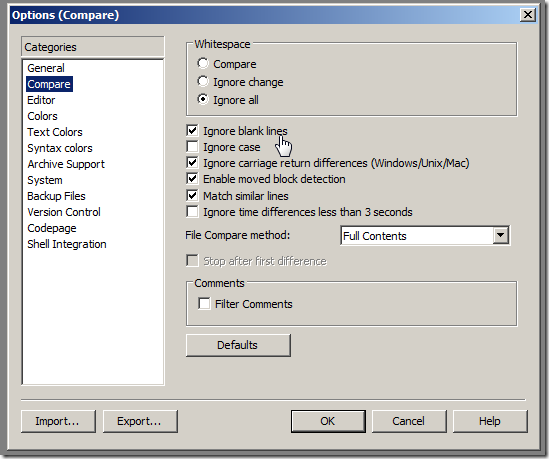 I was pleased to google out that the wonderful WinMerge application can be used as a compare tool and decided instantly to do the necessary setting. Now I got a much better compare view where I could see what actually changed. 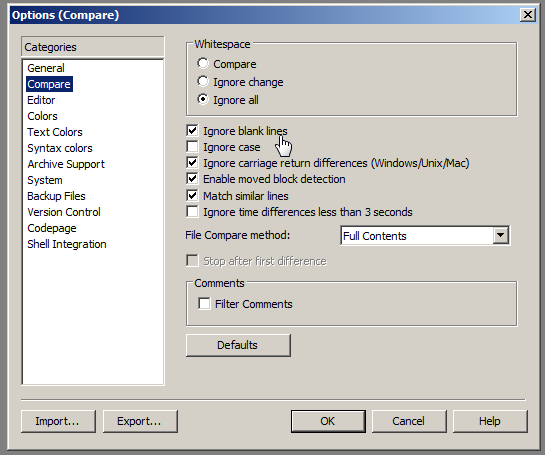 And if you’re using the merge features of WinMerge and are certain about what you do I would deactivate the creation of backup files by unchecking “Folder compare” and “File compare” on the “Backup files” page of the WinMerge options dialogue. That way you wont end up with a lot of ugly .bak files all over the place. What Compare/Merge tool do you like? Even I use WinMerge as it is one of the best program that is fast, easy-to-use,user friendly through which digging files get easier to deal with. I have always been successful with this.